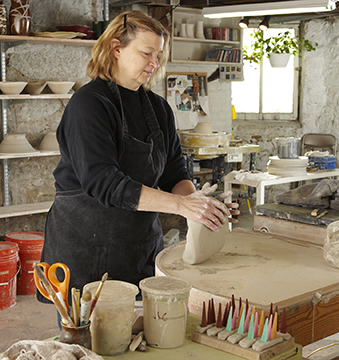 Kristi Sloniger has run a full-time pottery studio for over 20 years. 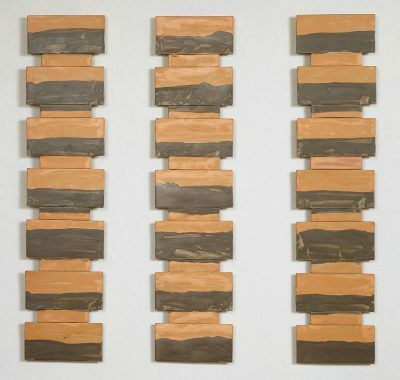 She uses slips and colorants on her hand-built tiles while the clay is still wet. to create organic, one-of-a-kind works. All of these designs are absorbed into the clay and are then fired to vitrification in her gas kiln. 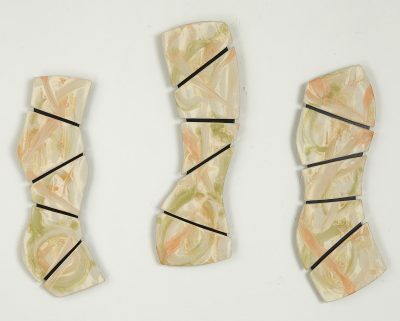 There are no glazes used in the work. This technique is referred to as Mocha Diffusion because it resembles the Arabian quartz called mocha stone. 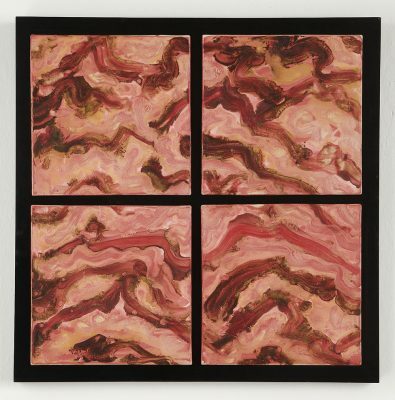 Some of her work entails three, four, or five separate pieces that can be arranged according to the art buyer's preference and available wall area. 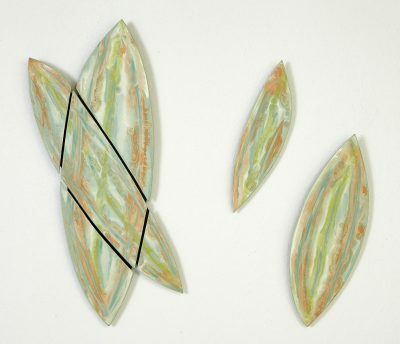 If you love ceramics, but have never thought of hanging it on your walls, consider the original, hand-made wall ceramic sculpture of Kristi Sloniger.